People have a tendency to obtain Long Term Care Insurance, or LTCI, through an insurance company or a broker – with few professional groups and companies offering it as a benefit. The costs of your policy ultimately depends on your health, the age at when you apply, and the benefits that you want. Back in a 2009 study, the average annual premiums for a standard policy was $2,800 for an individual aged 55 years and $9,600 for a 75 year old individual. It’s important that you understand all of the rules and loopholes before you consider signing up. Remember, it’s common to witness exclusions for those that have undergone drug or alcohol abuse. It’s not as common, but still possible, to obtain policies that exclude these common illnesses or require a significant amount of days in a hospital before one can obtain the benefits – which are difficult to meet. You’ll also want toe be sure that the policy will pay for caregivers as some plans will exclude medication costs. In different states, you can purchase what is known as a partnership policy which is designed to work with Medicaid. Now, in order to qualify for Medicaid, you much be destitute. The partnership policy will pay out a lower daily amount for a short period. Then, if you require more care and opt for Medicaid, the state will in turn ignore some of your assets when determining your eligibility. The total amount of assets that are protected coherently depends on your state’s plan, but it’s more than likely to be the dollar amount of the payment that you received from the insurance company. A partnership policy is also a great idea for those that are in between middle and low class who are looking to protect their savings and investments which would be quickly run dry through long term care insurance premiums. It is not useful if you do not have anything to protect and may not be the best choice if you own a number of assets. Remember, you cannot opt for this after you sign up for a different kind of policy so be sure that you make the choice from the beginning of the filing process. If you’re purchasing long term care insurance decades before you actually are going to use it, try and pay a bit more to index your benefits. This way, the benefits will cover your current cost of care when you do use them rather than receiving a payout to cover costs decades from now. Inflation protection is extremely important and to the point where it’s required on partnership policies. When you buy your policy, you need to ask for inflation protection or indexing to inflation. Be sure to mention this to the insurance company beforehand. An alternative to this is to select a guaranteed-purchase option or a future-purchase option. They are essentially the same: low-premium/benefits plans with the option to add benefits at a future date. Additionally, this also lets you wait until you can afford additional coverage even before you have to purchase it. Now, the bad news about this is that your premium will drastically increase if you continue to accept the option to have more coverage. And, if you decide to turn it down often, you might have to resubmit your health information and even risk being rejected. Because of this, the guaranteed-purchase option is great for senior buyers that do not expect to wait a significant period of time before claiming these benefits. Younger and healthier people can get a great price for long term care insurance and lock in the premium price – insurers can still raise prices in the future under certain circumstances. Purchasing at a young age also decreases the overall chance that you will be rejected because of a condition that you had and ensure that you will have the appropriate care if you are disabled in middle age. Also, because long term care insurance does cost thousands of dollars per year, the decision to buy long term care insurance is best made when you are old enough to afford it and do not have other expenses that you need to focus on. According to the American Association for Long Term Care Insurance, there are few policies that are sold to those under 45, with more than half of policies sold to those at ages 55 to 64. Even if you decide not to purchase long term care insurance for yourself, you need to have savings in the case that you become disabled at a later age. This will ensure that you obtain the care the you need, while also protecting your assets. With nursing home costs and other home care costs increasing at a consistent rate, you will need to save a good chunk of money. Now, it isn’t exactly ‘fun’ to talk about being disabled, but it’s also a reality that well need to face. Taking these important steps now can potentially protect you and your loved ones for the years to come. 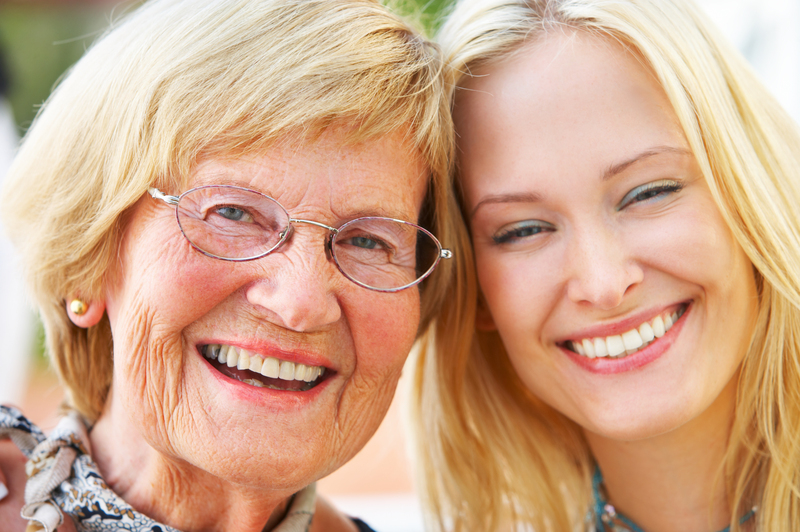 For more information, visit our Long Term Care Insurance page.